Model 8230HK30 steps it up a notch with the addition of a 20 Gallon ASME Tank providing more reserve air. 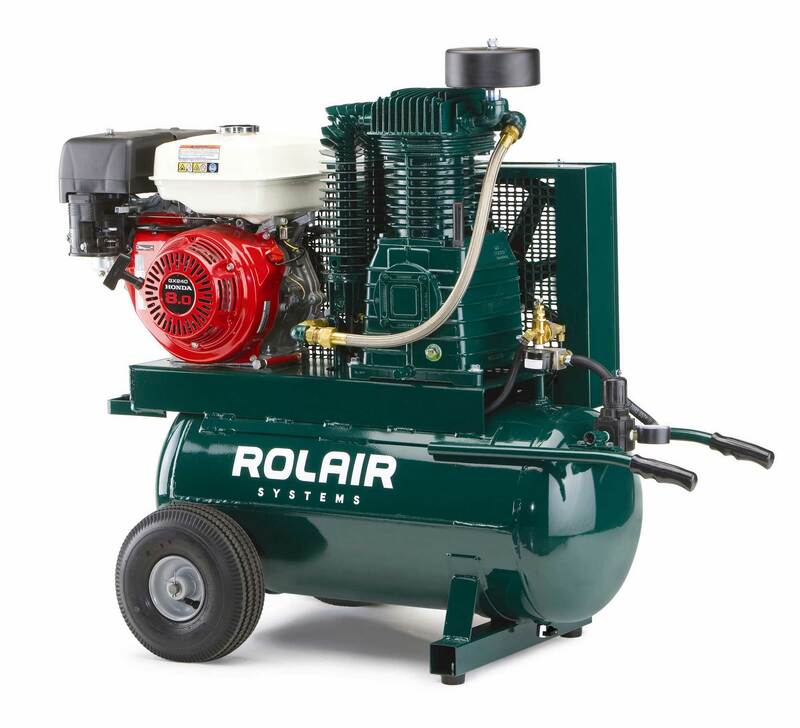 It produces 20.1 CFM at 90 PSI and utilizes the popular 270 cc (GX270) Honda engine with automatic idle-down, for increased fuel efficiency, and an atmospheric unloading system to prevent oil consumption. L x W x H 49"x23"x40"